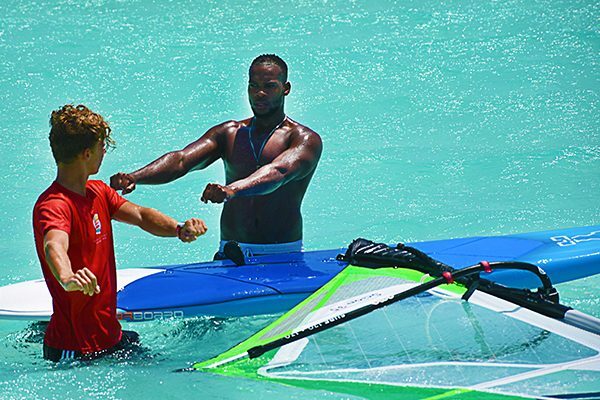 Learn windsurfing in the Caribbean blue waters without a wetsuit here in Dunkerbeck Pro Center! Our professional and caring staff will make sure during your Entry Week with Dunkerbeck Pro Center end with you soaring through the lagoon with no hesitation! Always wanted to learn windsurfing? 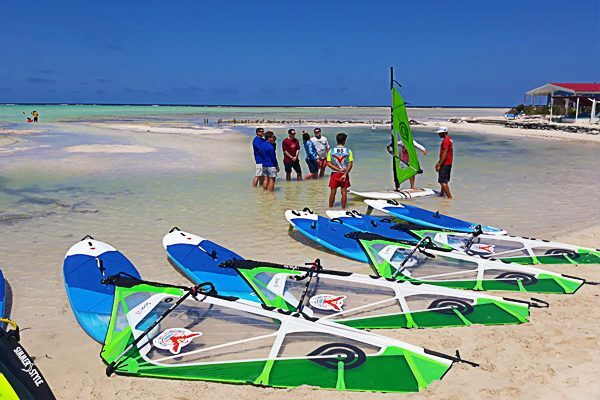 This 7-day package is perfect to learn from professionals working in Dunkerbeck Pro Center and add windsurfing as one of your newly-learned skills! 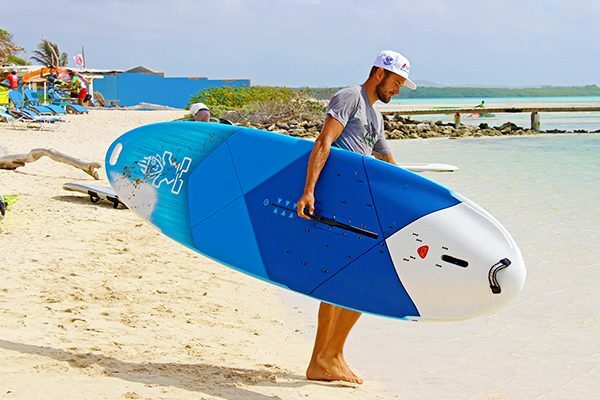 Start your week with a windsurfing lesson and continue windsurf for 6 full days with Entry Dunkerbeck Pro Center equipment, and lodge at the Sorobon Beach Resort one-bedroom chalet of a one-bedroom apartment in Sorobon Apartments! The package includes breakfast. You may tweak your package yourself – request an additional windsurfing lesson, take a sports massage or a dynamic yoga session!